Some of the Best Vegas Hotel Deals & Resort Rates that you will find anywhere! One of the most appealing things about Las Vegas is it’s casinos and all of the neon glitz and glamour that their atmospheres offer to visitors. This is our introductory article in our new series of ‘Las Vegas Casino’ reviews. We want to give you guys a brief summary of the many unique Vegas Casinos and a look into their resort offerings. Below you will find our best casino resort and Vegas Hotel Deals linked up here! Even those who don’t gamble can appreciate the casino resorts in Las Vegas and they can’t be missed. The Las Vegas Strip is home to some of the largest and most popular casinos that attract tourists from all over the world, although downtown or ‘Old Las Vegas’ is also a popular spot for a vintage Las Vegas experience. Whether you’re a gambler or not, everyone that has the means needs to see Vegas at least once in their life! Make it a Bucket List item today! Palms Casino Resort – Enjoy rates from $59! Book Now! Go Get Wet At Planet Hollywood Las Vegas! Starting at $88/NT + 2 Nights and $25 Poolside Food & Drink Credit! The Quad Las Vegas Buffet of Buffets Deal! Stay 2 Nights From $52/Night & Get 2 All-Day, All Access Buffet Passes to 8 Buffets in Sin City! Las Vegas Buffet of Buffets Deal! Stay 2 Nights From $52/Night & Get 2 All-Day, All Access Buffet Passes to 8 Buffets in Sin City! Our Vegas Hotel Deals page is updated regularly with new offers and discount hotel and resort information. 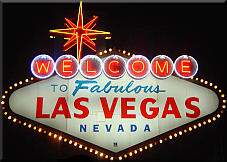 Vegas travelers looking for discounted resort stays can book offers right through our links and banners posted above! All of our Vegas Hotel Deals and Casino Resort Offers are made available by our friends at Caesars Entertainment. Caesars Entertainment offers casino resorts at 49 properties worldwide with over 55,000 slot machines and more than 3,600 table games! Since the above casino resorts are most popular with tourists, the slot games with denominations ranging from $1 to $100 are highly frequented. Poker tournaments also bring many players in from out of town. The ‘casinos off the strip’ are not always frequented by Las Vegas tourists, but they do have a lot of local appeal and can offer a more authentic Las Vegas experience to visitors! These casinos are considered a little less flashy for those that just want to focus on the games and not the themes and other elements of atmosphere that the Las Vegas Strip Casinos offer. The games in downtown Vegas are popular because of the lower table limits. For example, the ‘Four Queens’ offers single deck Blackjack that pays out at 3 to 2 odds for a blackjack. Those that want to stay at one of the downtown hotels will also find they’re less expensive than on the strip. Check back for the full review write-ups! Since its beginning in Reno, Nevada, 77 years ago, CEC has grown through development of new resorts, expansions and acquisitions and its portfolio of subsidiaries now operate 49 casinos in 14 U.S. states and five countries. The Company’s resorts operate primarily under the Caesars®, Harrah’s® and Horseshoe® brand names. CEC’s portfolio also includes Caesars Entertainment UK. CEC is focused on building loyalty and value with its guests through a unique combination of great service, excellent products, unsurpassed distribution, operational excellence and technology leadership. The Company is committed to environmental sustainability and energy conservation and recognizes the importance of being a responsible corporate citizen and steward of the environment. Palms Casino Resort - Enjoy rates from $59! Book Now!